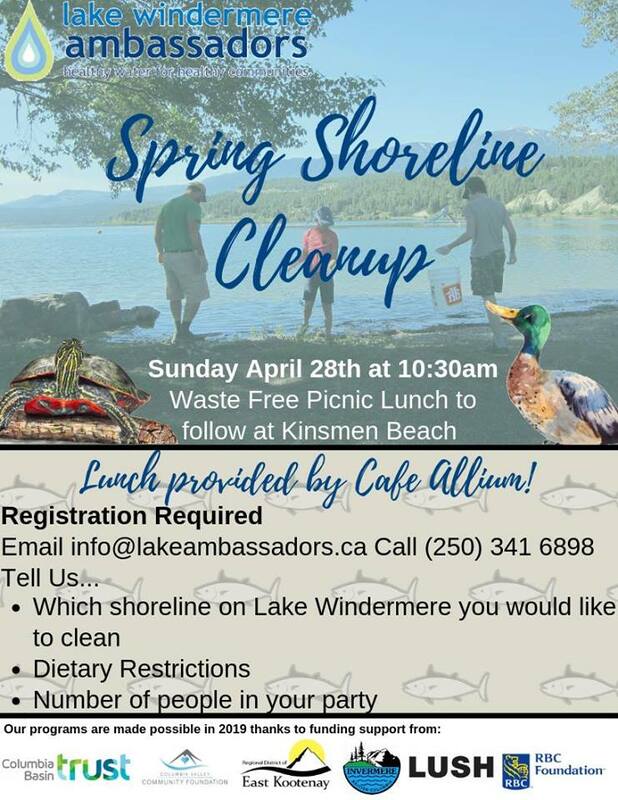 The Lake Windermere Ambassadors’ Annual Spring Shoreline Cleanup will be held on Sunday April 28th! How can you be a part of this event? Step 4: Join us at Kinsmen Beach for an appreciation lunch after the cleanup. Free picnic will be served for registered volunteers at Kinsmen Beach from 12:30 to 1pm, made possible thanks to Cafe Allium.